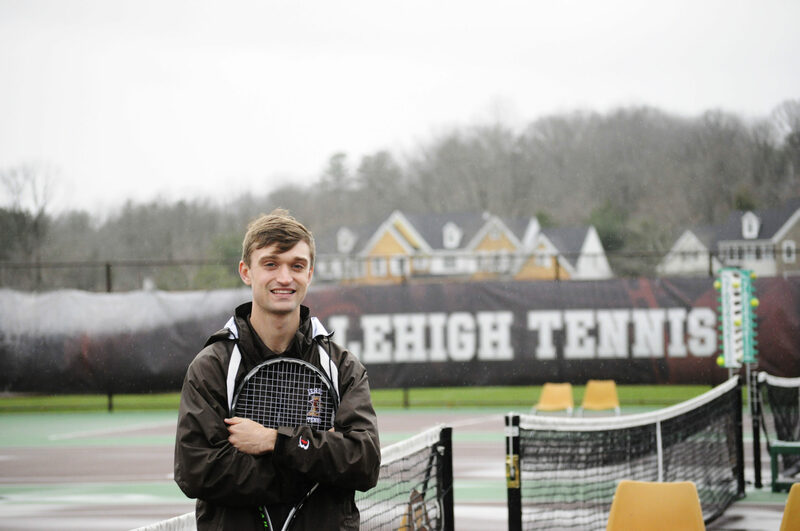 The Lehigh women’s tennis team got a taste of the spring season grind this weekend as it opened up match play against Villanova at the Lewis Indoor Tennis Center. The Mountain Hawks lost to the Wildcats 5-2. Head coach Sarah Hendrix said while there has been limited opportunity to practice as a team since coming back to school, there was an expectation that her players would follow their training routines while they were home. A major challenge that presents itself in between the fall and spring seasons is a shift in mindset from an individual to a team approach. The fall season consists of three or four tournaments in which players are mostly relying on themselves for success. In the spring season, there are matches every weekend and success must be achieved using every member of the roster. Can said the team approached its weekend lineup with a positive mentality, even though they anticipated the matches would be tough. Hendrix said she feels confident about the chemistry within the team and ability of any player to step on the court and make an impact. Despite the team’s versatility, Can and sophomore Paula Gonzalez’s experience playing together will make them a doubles pairing to look out for this season. The two have played with each other for years, as they grew up together in Weston, Florida. Can said that she and Gonzalez have been training together since they were 7 or 8 years old and have the ability to feed off of each other’s play. While Villanova represented a test start to its spring campaign, the women’s team is confident that they can pull through and hit the ground running on its quest for a Patriot League title. “There is no doubt that there is an excitement and energy in the air as the season opens against Villanova,” Can said. The Mountain Hawks will host the Stony Brook University Seawolves at the Lewis Indoor Tennis Center on Saturday, Feb. 16 at 2 p.m.